NIMBioS Director Emeritus Louis Gross has been invited to join a select group of scientists and engineers from around the country to serve on a National Academies of Sciences committee to set a vision for the emerging discipline of data science in undergraduate education in the United States. “Envisioning the Data Science Discipline: The Undergraduate Perspective” was created by the National Research Council for the National Academies of Sciences, Engineering and Medicine. The committee set to take on this study is charged with developing a vision for the core principles, intellectual content, and pedagogical issues for data science. While the primary focus will be the undergraduate level, related issues at the middle and high school and community college levels will also be considered. The committee will also consider ways to engage underrepresented student populations and to maintain student interest in STEM via data science. The committee comprises a select group of thought leaders in data science, computer science, and statistics from academia as well as industry. Also included are educators who teach students as well as those who hire and employ those students. Ultimately, the study is intended to inform new undergraduate data science programs at colleges and universities, to help foster the development of such programs, and to build data science expertise in the workforce. The study begins next month with a workshop and roundtable in Washington, DC. A second workshop will be held at a later time. Video from both workshops will be captured to make discussions at the workshop widely available beyond workshop participants and attendees. A final report will be prepared and disseminated widely. Gross is Professor of Ecology and Evolutionary Biology and Mathematics at UT, and Director of the Institute for Environmental Modeling. 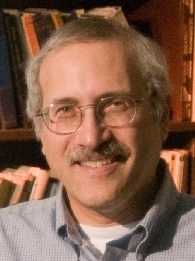 Gross founded NIMBioS in 2008. He has served on several National Research Council Committees, including chairing the National Research Council Committee on Education in Biocomplexity Research. He also served on the National Academy of Sciences Board on Life Sciences for six years.. The National Science Foundation Award Abstract describing the study can be found at http://bit.ly/2fZL5lY. This entry was posted in awards, data, Leadership and tagged awards, data, leadership, research. Bookmark the permalink.